Wine of South Australia. Vegan and vegetarian friendly. This is a wine with flavours of freshly cut apple and nashi pear with a crisp, clean finish. 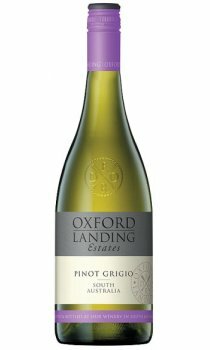 The Oxford Landing Vineyard was established in 1958 on the banks of the majestic Murray River in South Australia. It's an idyllic place, distinguished by clear blue skies, rich red soil and is abundant in golden sunshine - the perfect environment for growing grapes with distinct fruit flavours.